At Gotheburg´s quays with salty breezes and rocky waves, the conference here offers wide-ranging views. Lindholmen Conference Center is a state-of-the-art conference center right here in Lindholmen Science Park next to boats and strolling visitors. Let the meeting be inspired by a fresh wind of forward spirit and creation that leads to new thoughts, new ideas. Lindholmen is only 7 minutes by bus from Gothenburg Central Station, and did you know you can take the free ferry here only 4 minutes from Stenpiren? Our neighbor Radisson BLU Riverside hotel offers 265 unique double rooms, a total of 550 beds. The hotel was ready for spring 2013 and is appreciated both for its design and service. In the Lindholmen Conference Hall, impressive 600 participants will be accommodated in theatre style. Here are great opportunities to create an unforgettable event with stage and high-class technology. Pascal is a smart room that seats 40-150 delegates depending on seating mode. This meeting room is also well-equipped with meeting technology that fits all purposes. Several smaller spaces make room for smaller meetings with one-sided participation. Many rooms have panoramic views of the harbor basin and the old shipbuilding buildings that are characteristic of the area. 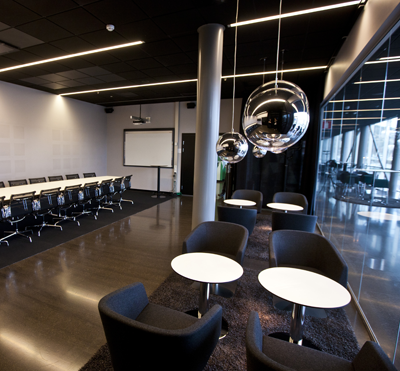 In addition to these, the Lindholmen Conference Center has a range of flexible and technology-friendly conference rooms for the company. 10 rooms are on site. Also video conferencing. Have you been to Lindholmen Conference Centre and want to give your own comments?